We all want our kids to spend more time outdoors and want to instill in them a sense of responsibility to take care of our planet. Setting up a backyard composting bin allows you to do both while also creating a valuable soil amendment to improve your garden. Just like gardening allows you to control what plants grow where, backyard composting is simply the process of controlling where your plants and food scraps decompose. You can purchase a black plastic bin at most local gardening and hardware stores or you can build your own. Once you have your backyard composting set up, the pile attracts a miniature food web of decomposers and their tiny predators. Everything from millipedes and worms to fungi can be found in a compost bin. Digging into a compost pile with your kids is a fun way to hunt for wildlife. If you keep your cool with all of the creepy crawlies, youngsters will too. Use this entertaining food web sheet to identify composting creatures and determine who eats who! Reluctant to take on pets? This is a great way to give into their pleas without adopting a 50-pound fur ball. And the poop from these pets is actually valuable! 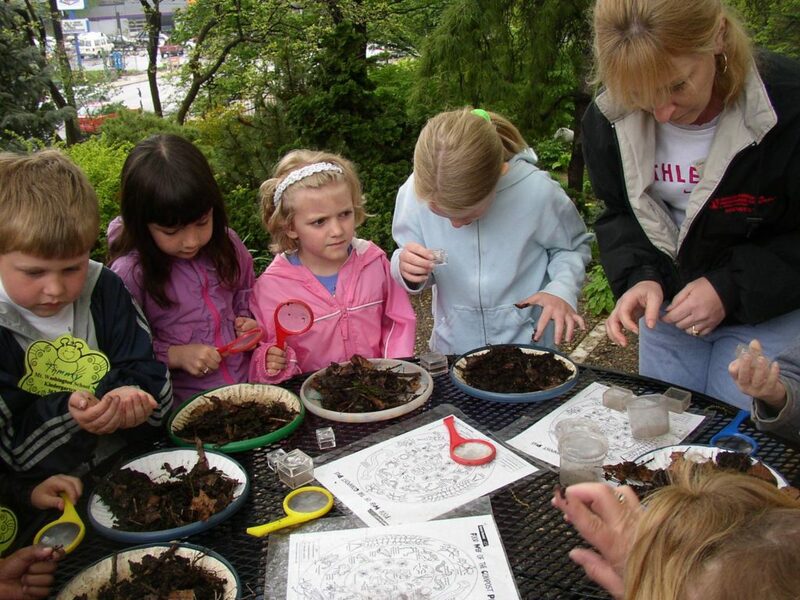 Little ones can monitor the composting process and they’ll never run out of new worms to name. I recently made a worm bin with both of my kids and they each took to different jobs. My son had fun soaking the newspaper in water and wringing it out to add to the bin. My daughter loved playing with the worms and letting them crawl around in her hand. Worm bin composting does require some know-how before you make the bin. Visit www.HamiltonCountyRecycles.org to learn more about vermicomposting and to sign up for a future workshop. Get the kids involved with composting early and they will always know the importance of it. My kids (3 and 5) know that when they finish eating that banana, the peel goes into the compost bucket—not the garbage. Backyard composting gives me a chance to teach my kids that most things have value, even when we are finished with them. They understand that what we put into the compost bin breaks down into a dark crumbly soil amendment (they still call it “dirt” but I am working on that). Starting backyard composting or worm bin composting with your children is fun and has so many benefits for your family and the earth. 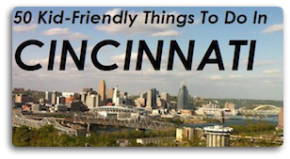 Guest blogger Michelle Balz works for the Hamilton County Recycling and Solid Waste District (District). The District strives to reduce the amount of resources going to the landfill by working with residents, schools, businesses, and anyone else who creates “trash.” Learn more at www.HamiltonCountyRecycles.org, or follow the District on Facebook, Twitter, or Instagram. The District also writes a fun blog on backyard composting.